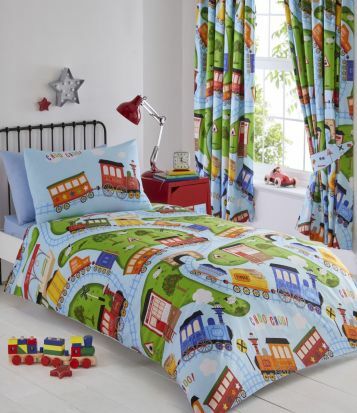 Home » Kids' Club Trains Blackout Curtains 66"x72"
Train fans are going to love these bright and colourful curtains. Take a thrilling countryside trip with these steam trains as they whistle through stations and under bridges! 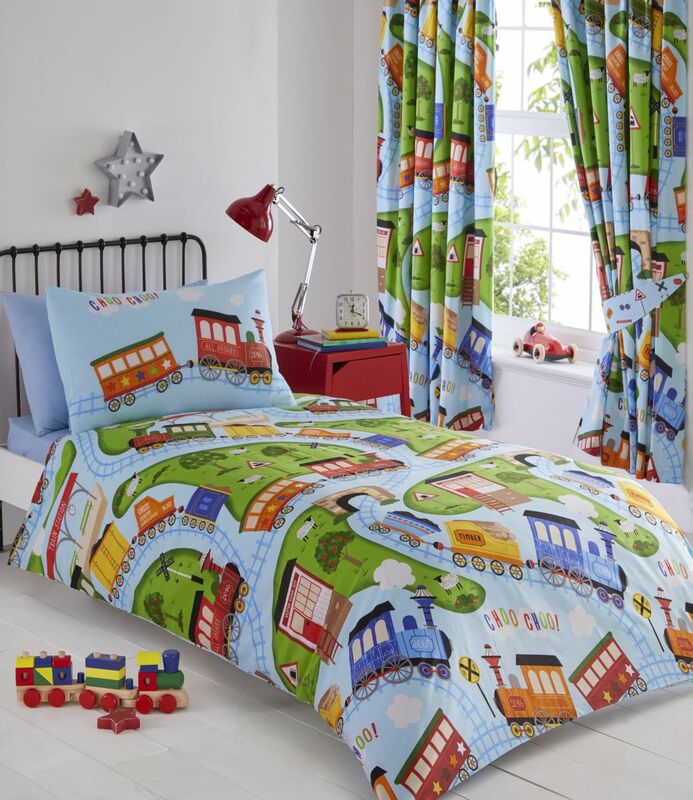 The blackout fabric is ideal for a child's room too, helping everyone get a good night's sleep.